CompassCare | Abortion Risks and Side Effects | Compassionate, ethical medical services personalized for your unplanned pregnancy and sexual health needs. Before you have any elective procedure it’s important to know the potential impacts it could have on your body and future health. Here we’ve compiled the latest research on the impacts of abortion. Risks and side effects vary by the type of procedure and how far along you are. If you’re pregnant, CompassCare can help you determine exactly what kind of abortion procedure you could be eligible for, and discuss the specific risks and side effects associated with that procedure. These symptoms typically resolve within a week, sometimes longer. If you have had an abortion and are experiencing any of the above symptoms, it is important for your emotional and physical health that you not ignore them. Contact us for a referral to a licensed counselor. Complications that can arise from induced abortion, such as infection and damage to the uterus, can lead to infertility and increased risks of future childbearing. Tell your doctor if you have had an abortion and are experiencing any of these symptoms. They may be able to help. The US has come a long way in making abortion “safe and affordable for all women.” However, abortion does have risks. This fact is true for abortion providers in Rochester and throughout the US, whether medical services are provided within an affluent neighborhood or a poverty-stricken one. The risk associated with any medical procedure does not change based on price. Any physician will agree that safety is not a guarantee when it comes to medicine and is why you must sign a consent form before beginning any treatment. That includes medical and surgical abortions. Could abortionists in Rochester improve the safety of abortion? Yes! For instance, routine pre-abortion ultrasound scanning is not required in NYS. That means that rather than providing a woman (and her doctor) with a full picture of what’s going on inside, issues such as ectopic pregnancy are diagnosed solely on a woman’s symptoms. However, ectopic pregnancies can be asymptomatic25 and medical abortions should not be given with an ectopic pregnancy.26 There is also a possibility that the fetus is not viable or that the woman is not even pregnant. It is never safe for a woman to receive a medical procedure that is not necessary. CompassCare provides free ultrasound screening at every appointment. Doctors are also not obliged to routinely prescribe antibiotics to women who receive a medical abortion. According to the US National Library of Medicine, “A small number of patients died due to infections that they developed after they used mifepristone and misoprostol to end their pregnancies” and women may not realize the severity of their infection until it’s too late.27 A weakened immune system can increase your risk of infection, as well as untreated cases of chlamydia or gonorrhea (also often asymptomatic), which could lead to an infection known as PID that can seriously affect a woman’s future reproductive health. With any type of abortion, “if the abortion is infected or complicated by pre-existing and nontreated STDs, risks of secondary infertility, ectopic pregnancy, and fetal loss increase.”29 Studies have consistently shown that induced abortion increases the incidence of subsequent preterm delivery and also depression30, which can ultimately effect a woman’s decision to have more children in the future. What is Laminaria, How is It Used in Abortion, and Are There Risks? Contact CompassCare for a free consultation regarding all of your abortion options. We also offer free STD testing, pregnancy testing, and ultrasounds. Let us lay out your options in a safe, unpressured, nonjudgmental environment. 2 Harwood B, Meckstroth KR, Mishell Dr, Jain JK (2001). Serum beta-human chorionic gonadotropin levels and endometrial thickness after medical abortion. Contraception 63(4):255-6. 4 Swingle HM, Colaizy TT, Zimmerman MB, Morriss FH (2009). Abortion and the risk of subsequent preterm birth. J Reprod Med, 54(2): 95-108. 5 Hardy G, Benjamin A, Abenhaim HA (2013). Effect of induced abortions on early preterm births and adverse perinatal outcomes. JOGC, 35(2): 138-43. 6 Moster D, Lie RT, Markestad T (2008). Long-term medical and social consequences of preterm birth. NEJM, 359(3): 262-73. 9 Burd L, Severud R, Kerbeshian J, Klug MG (1999). Prenatal and perinatal risk factors for Autism. J Perinat Med, 27(6): 441-50. 10 Huang Y, Zhang X, Li W, Song F, Dai H, Wang J, Gao Y, Liu X, Chen C, Yan Y, Wang Y, Chen K (2014). “A meta-analysis of the association between induced abortion and breast cancer risk among Chinese females.” Cancer Cause Control, 25(2): 227-36. 11 Andrieu N, Goldgar DE, Easton DF, Rookus M, Brohet R, Antoniou AC, et al. (2006). Pregnancies, breast-feeding, and breast cancer risk in the international BRACA1/2 carrier cohort study. J Natl Cancer Inst, 98(8): 535-44. 12 Westergaard L, Phillipsen T, Scheibel J (1982). Significance of cervical Chlamydia trachomatis infection in postabortal pelvic inflammatory disease. Obstetrics and Gynecology, 68(5): 668-90. 16 Heisterberg L, et al. (1987). 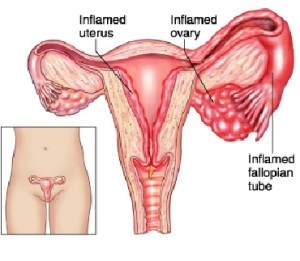 The role of vaginal secretory immunoglobulin a, gardnerella vaginalis, anaerobes, and Chlamydia trachomatis in post abortal pelvic inflammatory disease. Acta Obstetricia et Gynecologica Scandinavica, 66(2): 99-102. 18 Fergusson DM, Horwood LJ, Ridder E (2006). Abortion in young women and subsequent mental health. J Child Psychol Psyc 47(1):16-24. 19 Coleman, PK (2011). “Abortion and mental health: quantitative synthesis and analysis of research published 1995-2009.” Br J Psych, 199: 180-6. 20 Coyle CT, Coleman PK, Rue VM (2010). Inadequate preabortion counseling and decision conflict as predictors of subsequent relationship difficulties and psychological stress in men and women. Traumatology 16(1):16-30. 24 Bianchi-Demicheli F, Ortigue S (2007). Insight of women’s sexual function and intimate relationships after termination of pregnancy: A review of recent findings and future perspectives. Curr Womens Health Rev 3(1):31-41; Bianchi-Demicheli F, Perrin E, Ludicke F, Bianchi PG, Chatton D, Campana A (2002). Termination of pregnancy and women’s sexuality. Gynecol Obstet Invest 53(1):48-53; Fok WY, Siu SN, Lau TK (2005). Sexual dysfunction after a first trimester induced abortion in a Chinese population. Eur J Obstet Gyn R B 126(2):255-8.